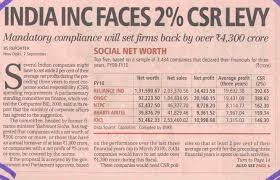 Onus to prove is on the CSR committee. Recently, the Raipur Bench of Income Tax Appellate Tribunal (Tribunal) in the case of Jindal Power Limited (the taxpayer) while dealing with a case pertaining to pre-amendment to Section 37(1) of the Income-tax Act, 1961 (the Act) held that voluntary nature of Corporate Social Responsibility (CSR) expenditure are allowable as business expenditure. On the applicability of Explanation 2 of Section 37(1) of the Act, the Tribunal observed that the disallowance is restricted to the expenditure incurred under a statutory obligation under Section 135 of Companies Act, 2013 (Companies Act). There is clearly a line of demarcation between the expenditure incurred by the taxpayer under a statutory obligation and under a voluntary assumption of responsibility. 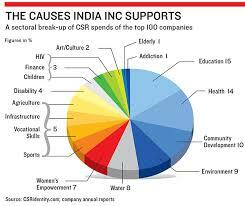 It is only in the case of statutory obligation towards CSR expenditure that Explanation 2 comes into effect. The Tribunal further held that the disabling provisions of Explanation 2 are not triggered as long as the discharge of CSR on voluntary basis can be said to be wholly and exclusively for the purpose of business. Whether the cost of infrastructure facilities and training equipments provided by a Company to a Training institution can be qualified for CSR? 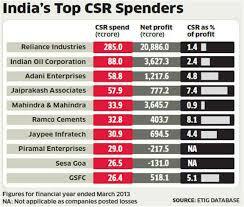 For the CSR expenditure, the main aspect that has to be looked into by the CSR committee is as to whether the expenditure incurred towards infrastructure facilities or towards cost of training etc, can be attributed to up-liftment of poorer sections of the society at large and spent in the place where the registered office or factory is situated. By spending this amount, it should be possible to show change over in the living conditions or standard living or bring in better livelihood at the village level.